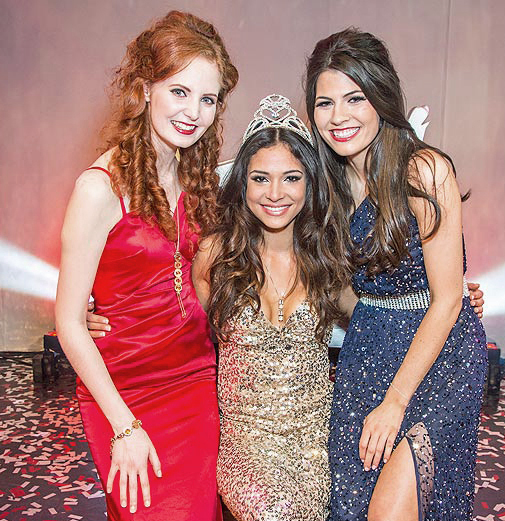 Jamey Bowers made it third time lucky last night as she was crowned Miss Scotland 2013. The beauitiful brunette wowed the judges to land the coveted title and an whopping £10,000 in prize money. Stunning Jamey, 24, from Edinburgh, was runner-up in the 2009 contest then finished in third place the following year. But last night it was her turn to be named the nation’s favourite beauty. And as she accepted her glittering crown, she said: “I can’t believe I’ve won — It really has been third time lucky for me. “I was Katharine Brown’s runner-up in Miss Scotland 2009 and the following year I was third when Nicola Mimnagh took the title. “Now it’s finally my turn and I’m over the moon. “I can’t think of anything more worthy than being an ambassador for Scotland and I will work hard to do everyone proud. She will now get ready to represent Scotland in Miss World 2013, on September 28, in Jakarta, Indonesia.